Pre-sterilized using high temperature (121°C)sterilization method. Baby dental health care tends to be neglected, some of us assume no/little teeth = no dental care is not needed. Apparently not so. Or some of us will simply use a cloth wipe after breastfeeding/feeding or meal time. Is that enough? 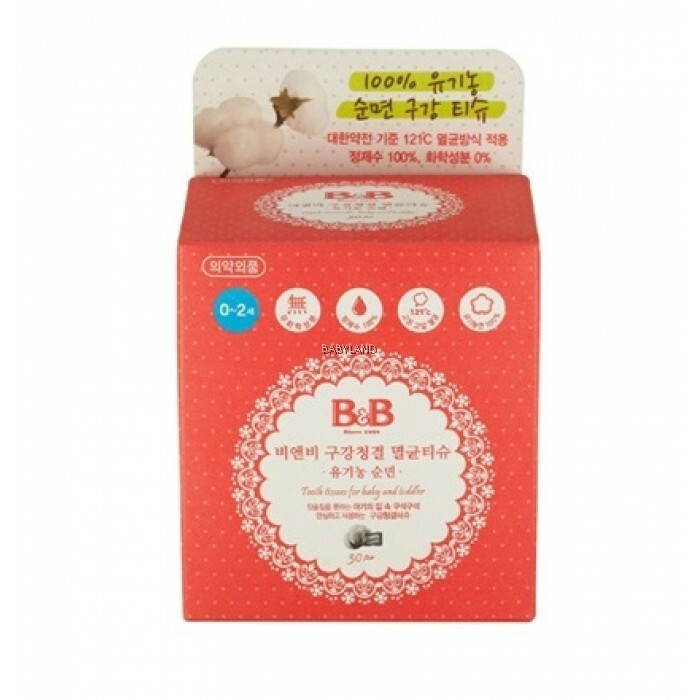 B&B organic cotton mouth tissue for baby & children contains no chemical preservative, no fluorescence brightening agent and no artificial dye. It’s 100% organic cotton tissue, 100% purified water and pre-sterilized using high temperature (121°C)sterilization method. Use wipes around all surfaces of teeth. Cleanse around gums, tongue and cheeks. For use from birth to approximately 2 years old.